Learning that your sewer system is not working as it should is something that no homeowner wants to face. But these things happen, and you must take care of the problem in a timely manner to ensure there is no further damage. Years ago, the only option that sewer repair contractors had when it came to sewer pipe repair would be to dig up your lawn and remove each pipe to find the problem. Today, there are better options available that are less time consuming and can help save you money. Thanks to advancements in pipe repair technology, technicians can now have your non-functioning system up and running in less than a day. A job that used to take several days to complete now only takes a few hours, and most importantly, there is minimal digging required. Now you can rest easy knowing that you won’t need to have your lawn renovated by a clean-up crew after the repair job is completed, saving you money. When you contact us here at The Rooter Drain Expert, we will send a team out to your location to assess the damage. We will start by creating two access points so that we may have an entryway to your pipe system and insert our small camera into the pipe. 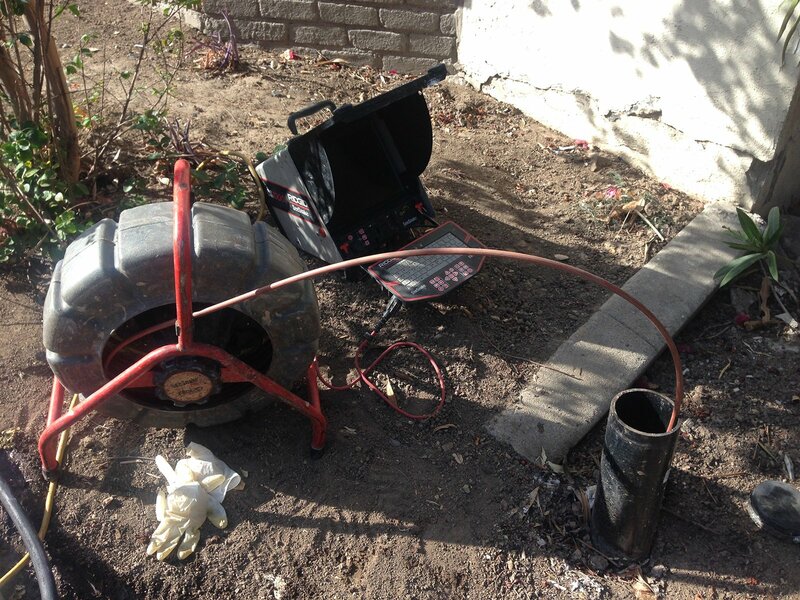 With this tool, our technicians will be able to identify exactly what is plaguing your sewer system and develop the ideal solution for fixing it. By learning what is causing the problem and where the obstruction is located, we can easily find a better solution to your sewer pipe issue than digging up your lawn or replacing pipes when it’s unnecessary. We may be able to remove the clog using special tools that can go in and extract the blockage manually, and if there are several clogs within your system or tree root clumps, our hydro jetting service can easily flush out your pipes using a powerful blast of high-pressure water. If we find that there is additional damage to your sewer pipes, such as corrosion or leaks, our team may suggest that you replace your pipes using our innovative sewer pipe lining method. Sewer pipe lining is an innovative alternative to the traditional method of replacing your old and damaged pipes. 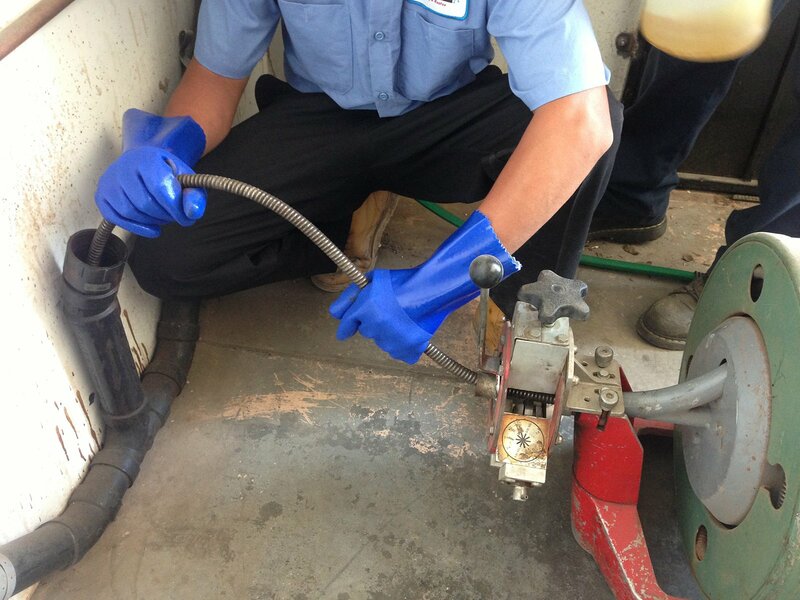 The process involves lining the interior of your current pipes using pipe liners. This helps to restore your pipes and your entire system back to normal by re-lining the internal walls of your current system using polyethylene pipe lining materials. With this method there is no trench digging involved, and we can complete most jobs in less than a day. It is an excellent cost-saving method that provides reliable, long-lasting results. All of these solutions are readily available and can be recommended with confidence through the information we glean in our sewer camera inspections. If you are experiencing problems with your sewer system, give The Rooter Drain Expert a call today to set up an appointment. We will be happy to provide you with more details about the services we have available.